No one has been appointed as Chief Executive Officer at the Tobago Regional Health Authority (THA), Chief Secretary Kelvin Charles said, debunking a report that current Chairman of Authority Ingrid Melville was to assume the post on January 2 following a recent recruitment process. Contacted for a response to the report. Melville said that she had no comment. 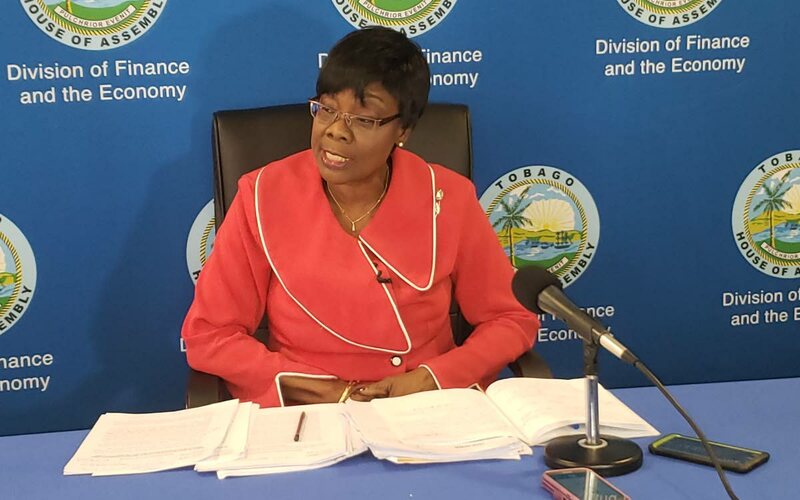 Health Secretary Dr Agatha Carrington could not be reached for comment but at a post Executive Council media briefing on December 19, she had said a Medical Chief of Staff was to be engaged in the new year, with interviews already done. On the matter of a Chief Executive Officer (CEO) for the TRHA, she said a recruiting agency was hired to headhunt for a suitable person and that current interim CEO Michelle Edwards-Benjamin would continue in the position until such a candidate was chosen. Reporting on efforts to place a CEO at the TRHA, Carrington noted that in 2017, the Health Division’s advertisement for the job brought in 40 applications with nine selected for a shortlist. “We had one preferred candidate, this candidate took up another position in another Caribbean island because our time to hire was a bit protracted and therefore the person could not wait or chose not to wait. “The next situation was that we went out, placed an ad and the list of persons that we were able to attract was not substantial. The HR experts felt that there would be no suitable applicants found among them and therefore we sought the assistance of a recruitment agency to headhunt a CEO for us, that is the current situation,” she said. Carrington said the cost of the recruitment service was $46,000 plus VAT, and that the interviewers would not be paid. “The new temporary CEO (Edwards-Benjamin) has been asked to perform the duties pending the completion of that process as she is substantively the holder of the position of Nursing Manager, Secondary Care Services. So, she is a permanent staff of the Authority that we’ve asked to do that. “Prior to that, we’ve had other persons in temporary positions because we’ve had the challenge of attracting persons for this leadership position. The effort continues, such that we will find somebody who is able to fill the position that we seek to do,” she said. “I can’t give you that. I didn’t engage in any such process since within recent times. I inherited one that was in process when we came into office… I don’t have the figure that they would have incurred then, but I am sure that could be found, but I don’t have it, but recruitment is costly and finding good leadership is also a challenge, but we continue to do so,” she said. Edwards-Benjamin was appointed as temporary Chief Executive Officer (CEO) on November 20, taking over from Gillian Pollidore who was appointed to the post on August 20 for an initial three-month period then. Earlier in August, Ashworth Learmont, who was appointed as acting CEO of the TRHA in June, tendered his resignation with immediate effect. Reply to "Charles: No CEO appointed at TRHA from Jan 2"